Georgie Bonds knows a thing or two about the blues, even though this was not the music he was brought up with. Blues grows from adversity, and Bonds has had more than his share of medical troubles, and growing up in Philadelphia he managed to find himself a bit of trouble too. These things have made him the man he is today, and he discovered a path in life that included learning the blacksmith trade and becoming a member of the Black Cowboys, an organization that helps kids from tough neighborhoods. His career as a blues singer came later in life and he has done well with it, earning a well-deserved place in the Pennsylvania Blues Hall of Fame in 2012. Georgie’s third album, Hit it Hard, is mostly filled with originals that were written by Bonds and his friends; these guys include producer and guitarist Neil Taylor, and the harp-playing executive producer, Buddy Cleveland. These songs cover quite the gamut of subjects, but a few of them draw directly from Georgie’s life experiences. This trio was joined in the studio by a core band of Andy Haley on drums, Rick Prince on bass, and Walter Runge on keys. First in the set list is “Pickin’ Your Bones,” which was featured on Sonny Rhodes’ 1996 album, Out of Control. Rhodes is Bond’s mentor, and this is a tasty piece of funky blues. You will find that Georgie has the strong voice of a younger man, with just a touch of weathering to keep things interesting. The backline is tight, with Haley hitting the drums hard and Prince keeping perfect time. On this song Cleveland shares the leads on his harmonica and Taylor throws down a well-crafted and slightly distorted guitar solo. These guys can rock! There are just a few other covers on Hit it Hard. Sam Taylor’s “Not Tired of Living” is a bouncy rocker with slick organ fills from Runge and a scorching guitar solo from Neil Taylor, not to mention a fun vocal finale that brings everybody into the act. The other is “The Soul of a Man,” written by Blind Willie Johnson, and this is a healthy dose of slow rolling southern blues-rock that is sung with passion and clarity. As you will hear, Georgie brings many different genres to this disc, and the fun and funky dance track, “Let’s Get Down,” works on many levels. He recruited a pair of talented local sax players, Vanessa Collier and Dave Renz, and they do a sweet job of completing the picture for this track. There is also a well-placed call and response that contributes to the rowdy party vibe. 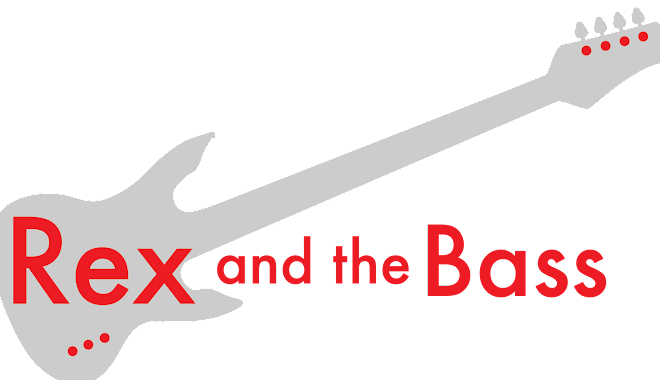 The sax team comes back for “Blues Job” lending a little jazz feel to a tune that is peppered with fat bass and nifty electric piano. Though he is a jack-of-all-trades, Georgie is no stranger to the 12-bar blues, and his team knocks out “Come Back Baby,” featuring brief but tasty piano and harmonica breaks. On the more serious side of things, Mr. Bonds includes a couple of tunes about being incarcerated: the slow grinding “Paid Vacation” and “Another Year,” a song of reflection. The latter closes out the set, and it turns out that this was the first song Georgie ever wrote (in a federal prison, actually). He howls the lyrics out over a slow-rocking melancholy melody with Cleveland providing just enough harp to make the mood. For a song that comes in under three minutes there is a lot going on here, as there are plenty of tempo and dynamic changes until it abruptly ends. This is both cool and dramatic. 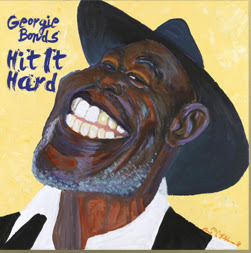 Georgie Bonds’ Hit it Hard is a solid effort of blues-based music, and his honesty and upbeat spirit are quite engaging. He has a few shows coming up, but you will have to be around the City of Brotherly Love to take advantage of them. Head on over to his website to see what is going on with him and to support a local bluesman who is doing good work!